Appliance Repair Glendale, AZ | (623) 233-0368 | Same-Day Service Now! Key Glendale Appliance Repair enjoys helping our customers throughout Maricopa County Arizona and neighboring communities. We work hard to make sure that our customers know how important they are to us. We are a family business who is built upon the idea that customer service is one of the most important parts of what we do. 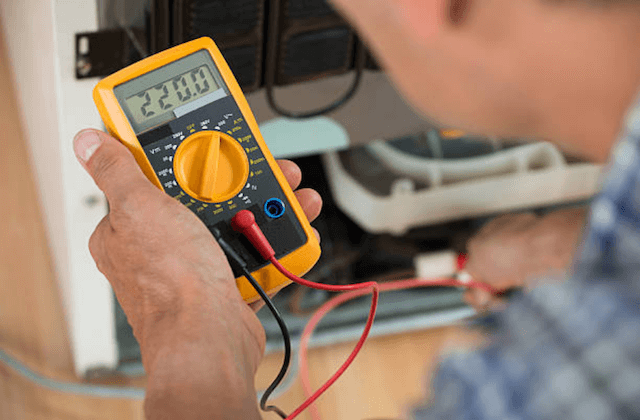 We go to great lengths to make sure that our certified technicians and repairmen are able to repair all types of household appliances, old and new. Our certified employees are also trained and kept up to date on the newest appliances and technologies. They go through extensive, continuous training to make sure that their skills are the best in the industry. One of the services that we offer is same-day repair for our Glendale, AZ customers. We aim to get your refrigerator, washing machine, dishwasher, or oven up and running again on the same day during our first visit to your home. We understand the importance of these appliances in your daily life. Our technicians are certified to repair numerous brands including Whirlpool, Maytag, GE, Kenmore, Samsung, KitchenAid, LG, Bosch, Sears, Sub-Zero, Frigidaire and so many more. Our FAQ section can answer many of our customer’s questions. Our repair work and the parts that we install come with a 12-month warranty and our vans are stocked with manufacturer parts, which aids us in getting the job done quickly and properly. Key Glendale Appliance Repair has the certified technicians that are able to diagnose the problem and utilize manufacturer parts to fix it. We repair any of the common refrigerator and freezer issues on whatever major brand or model that needs repair. We can handle everything from burnt-out bulbs, loud noises, cooling issues, and water dispenser leaks to touch panels and smart technology. 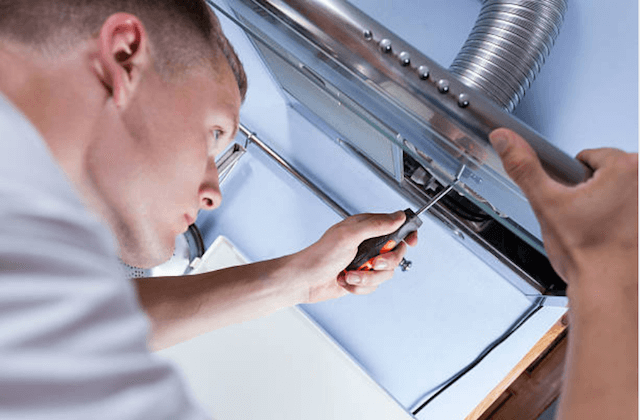 Our local company is here to fix all of our customers’ stove and range hood issues. Our technicians are armed with the tools and skills necessary to quickly repair all types, including the newer brands and models. Gas or electric, burners, relays, bulbs, ignitors, or doors, we are able to handle it all. Our same-day service also applies to dishwashers too. These appliances can be complicated to work on because of the host of different issues that can disrupt the various wash, rinse, and drying cycles. Some of these issues include float switches, pump assemblies, cloudy glassware, solenoids, impellers, and odors, but our technicians can successfully diagnose and repair them all. The laundromat is the one place that Glendale, AZ Appliance Repair company doesn’t want our customers to have to go to because their washer and/or dryer is out of commission. Our prompt and punctual same-day service will make sure to get you your washer and dryer back in service. We are able to work on front- and top-loading models and any of the issues they may be having including noises, door malfunctions, faulty switches, bad control boards, excess vibrations, agitation problems, and vents. “We are so happy with the excellent service from Key Glendale Appliance Repair! The technician was prompt and professional and identified the cause of our leaking dishwasher the moment he arrived. Next thing we knew, the repair was over and the dishwasher was like new again!” – Jane D.
“Great job! The final price was even lower than the original estimate and the repairman was even able to fix our stove the same day we called for an appointment.” – Peter R.
“All the reviews are true! This appliance repair company is amazing! Thank you, Thank you, Thank you, Key Glendale Appliance Repair!” – Shelia A.